Price discounted for"First come first serve"! Take her today @ $250 ! She's out and ready for you to take home. 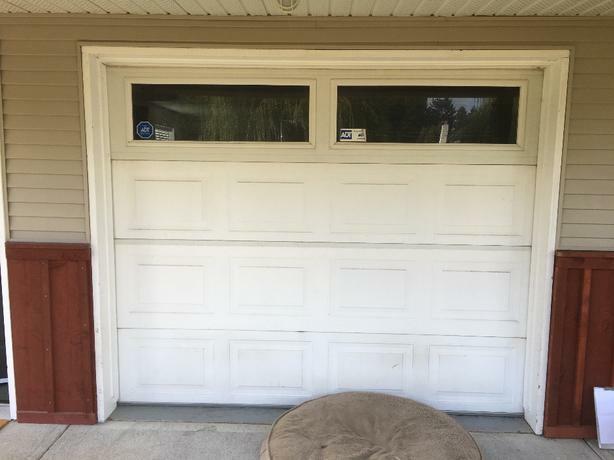 6.3x8 Insulated Garage Door including all hardware, weather stripping,Tracking, springs, etc.. Great shape. Has window. Great for shop, outdoor shed etc.. Removed, stacked and ready. . Save $. These are $500-$600 Just for door with no hardware. Call me and come get her for your project.